Have drugs had an influence on you or a loved one? Maryland is among the top five states with the highest rates of opioid-related overdose deaths. These numbers have been increasing in the state and in Cumberland. The community is starting to see more and more people being effected by drug abuse. I am trying to solve the problem of drug abuse and misusing prescription drugs in Cumberland Maryland. The death rate in Maryland has consistently been above the national average since 1999, ranging from roughly 1.5 to 3 times the average rate. In 2016, nearly 30 deaths per 100,000 persons were related to opioids—including prescription opioids, heroin and fentanyl. In 2015, Maryland prescribers wrote 3.9 million opioid prescriptions or 65.6 prescriptions per 100 persons. This number has decreased since 2013, but prescribers are still giving out unnecessary pain relievers which can be abused. Almost 10% of new HIV diagnoses in Maryland were caused by injection drug use. This can spread a deadly diseases through the community and effect everyone involved. 65% of people diagnosed with hep c in 2015 was caused by drug abuse. 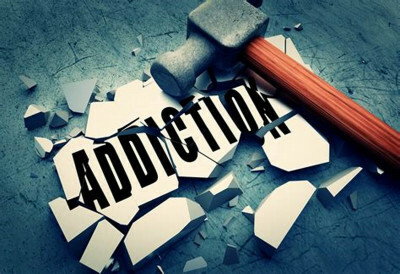 The findings support hypothesis that individual social attachments to marriage and the labor force (education and employment) are the principal individual-level pathway mediating the substance abuse/aggression nexus. This shows some prevention ideas and strategies to help with drug use/abuse. My name is Hannah Krumpach. I am 18 years old and I am studying psychology at ACM. I think one of the best ways to get a community to realize that there is a problem is to let them know more information about what is really happening. The community needs to learn about the number of deaths and other people affected by the drug use. We could spread awareness through local newspapers, the news and social media. Teaching the children in the community the real truth about drug abuse could change the future of the city of Cumberland. If the children are taught at school about how drugs could change their lives, the future community would be more likely to resist against using and abusing drugs. Bringing more supportive groups and organizations into Cumberland for people trying to become sober and clean can change the community for the better. Even if the community could become more understanding of people who are trying to be sober and offer them more support, our community could see more people recovering from drug abuse instead of seeing deaths and people struggling in our city. After these measures are taken our community will be more understanding about the issue and it will create an environment that members can thrive in and it will lead to less drug abusers. The families in the community will feel like they have a safer place to call home, the local schools will be educating them on how not to abuse drugs, and the community will be more understanding so the issue of drug abuse can end. $50,000 to help build new school programs and support groups for community members.